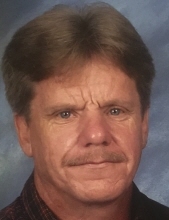 EDDIE CLAUDE ELSWICK, 61 years of age of Vansant, VA, passed away Saturday, March 30, 2019 at his home. Born in Buchanan County, he was the son of the late Edd F. and Dorothy Stiltner Elswick. He was a lifelong resident of Buchanan County and was of the Baptist faith. He was a loving husband, father, grandfather, uncle and brother. Eddie was an avid fan of the Dallas Cowboys, NASCAR and Dale Earnhardt #3. In addition to his parents, he was preceded in death by his half-sister, Mary Lane; his half-brothers, Vistil Keene and Grover Keene; his brother, John Mark Elswick. Those left to cherish his memory include his wife, Pearl Cantrell Elswick of Vansant, VA; 1-Son by heart: Braxton Tyler Shrader of Vansant, VA; 3-Step-Daughters: Judy (Chris) Osborne of Grundy, VA, Leona (John) McClanahan of Vansant, VA, Donna Reed of Vansant, VA; 1-Step-Son: John (Nancy) New of Haysi, VA; 3-Sisters: Sandra (Larry) McComas of Hurley, VA, Sherry Sesco of Vansant, VA, Marsha Elswick of Vansant, VA; 7-Brothers: Teddy Elswick and Peggy Conley of Vansant, VA, Timothy (Tammy) Elswick of Oakwood, VA, Brady (Linda) Elswick of Oakwood, VA, Monty (Tammy) Elswick of Grundy, VA, Bill Elswick of Florida, Danny Elswick of Vansant, VA; Half-Brother: Chester Keene of Haysi, VA; Grandchildren: Amanda Shrader of Vansant, VA, Katherine Osborne and Krysta Osborne of Grundy, VA, Austin New and Ethan New of Haysi, VA, Rachael Lester and Laramie Reed; Special lifelong friends: Steve Norman, Greg Norman and Don Knuckles. Funeral Services for EDDIE CLAUDE ELSWICK will be conducted Wednesday, April 3, 2019 at 1:00 P.M. at the Grundy Funeral Home Chapel with Ministers: Eddie Wilson, Ronnie Sliger and Jackie Wright officiating with burial to follow in the Elswick Cemetery on Devil’s Branch, near Vansant, VA.
Friends may call at the Grundy Funeral Home Chapel Tuesday evening at 6:00 P.M. with services at 7:00 P.M.
Grundy Funeral Home of Grundy, VA is honored to serve the family of EDDIE CLAUDE ELSWICK. To plant a tree in memory of Eddie Claude Elswick, please visit our Tribute Store. "Email Address" would like to share the life celebration of Eddie Claude Elswick. Click on the "link" to go to share a favorite memory or leave a condolence message for the family.